Well there is a great combination of ownership, care and restoration. What color is that? 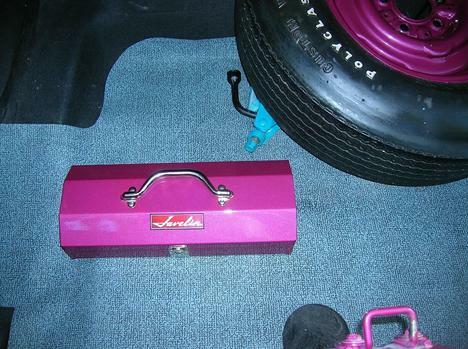 I love the toolbox.....and the 8 track case! 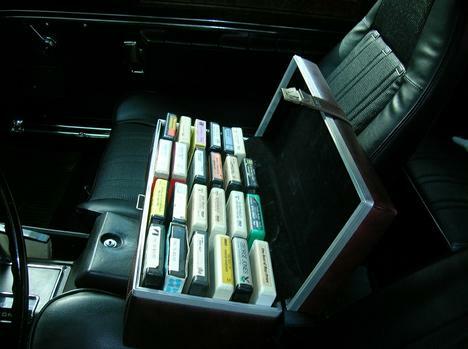 So many times I see something like the tape case and it makes me smile because I think we all had one of those in our day. Congrats on the awards and keep us up to date on any new awards. There for a minute I thought that was the Eiffel Tower.....now I see it's an oil well and oils well that ends well. Sorry, I'm an old guy with old jokes and an old sense of humor. :-) Nice Polyglas spare too!! 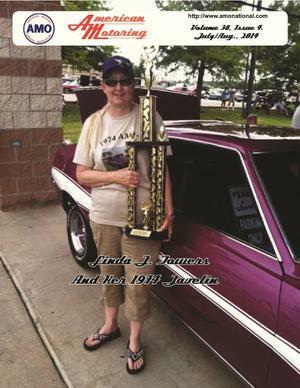 Linda is the reason this car was restored and kept for over 40 years. She has kept every single piece of paperwork since we bought the car. 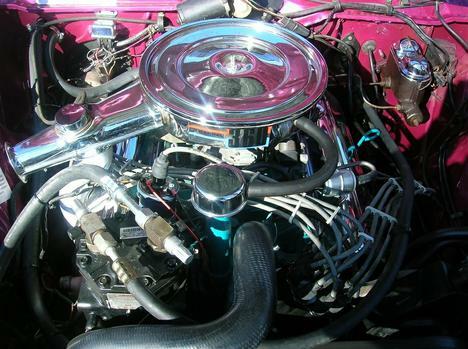 The color is G-4 Plum, this is the original color. 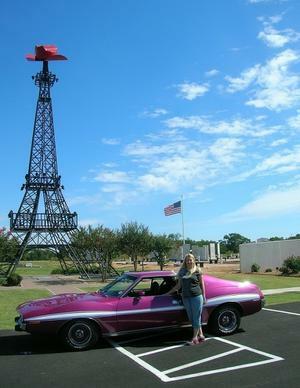 The Eiffel Towers is a replica that is located at the Red River Valley Veterans Memorial here in Paris, Texas. That is a replica of the Eifel Tower. It is part of the Red River Valley Veterans Memorial here in Paris, Texas. 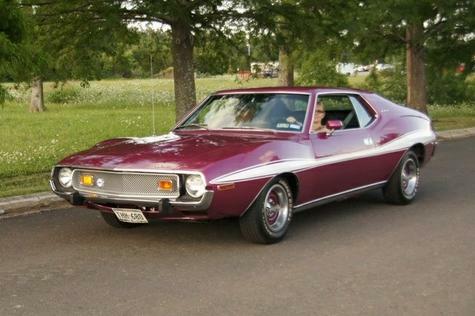 The color of the Javelin is G-4 Plum Metallic, which was the original factory color. I love that Jav. My wife and I had one in that bright blue (I forget what they called it). It was striped up and set up just like yours. I wish we still had it. 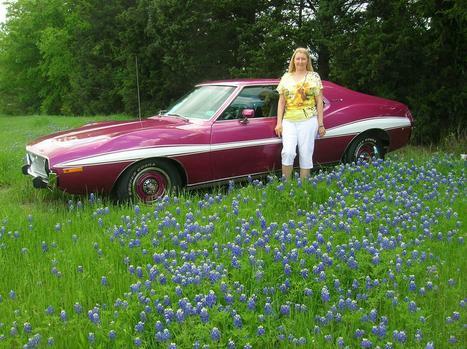 Thumbs up on a gorgeous AMC Javelin. 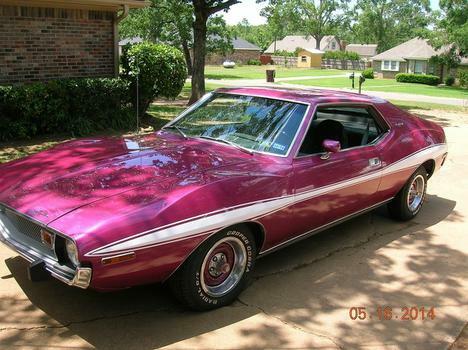 My parents bought my younger sister a 1974 Javelin in April 1974 for her 16th Birthday, about a month before we order Linda's. 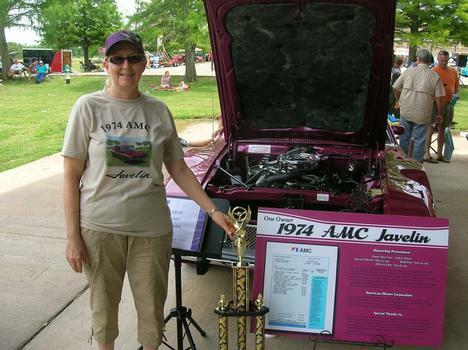 My sister's Javelin was F7 dark Blue Metallic. 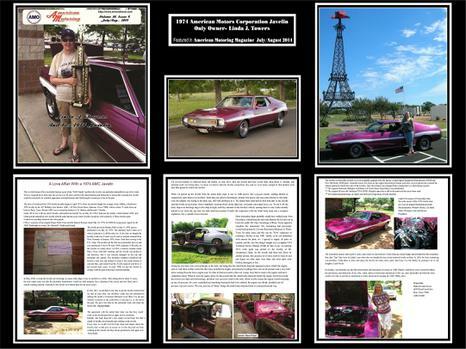 Nice to see you on this site...I have been on it for a while now as well as the AMC Forum. Lots of great cars to see! Great car. Mine is the '74 Green Machine. Amazing, would love to see it one day.